If the kitchen space was a place for cooking only in the past, these days the kitchen do a role of an object as the interest in cooking increased. 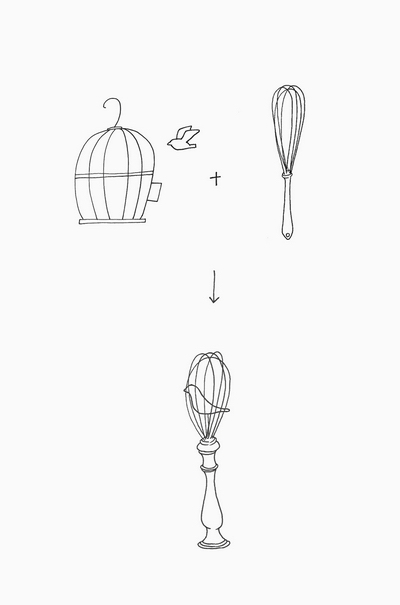 Bird whisk is a whisk that can satisfy all the fun, functions, and interior props. 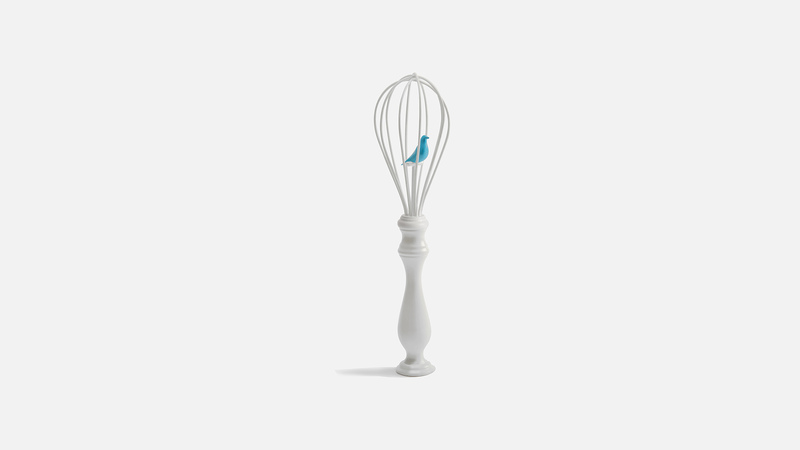 With Bird whisk with a small wit, you will have more fun in your kitchen. Enjoy cooking time with your own little bird. Small peace in the kitchen. The kitchen space resembles a battlefield where a lot of food ingredients are fighting and always in a hurry. I would like to present a little peace through this Bird whisk in this desolate space. A little bird in the whisk will send a little goodbye to the knights in the kitchen, as if they had hoped for the Blue Bird. How about preparing a Bird whisk for a battle in the kitchen? Breathe in the kitchen that is stopped. Whisk has more moments of stopping than they are in use. The time-lapse whisk seemed to have lost its life. I wanted to breathe life into the stopped tools and to evoke a space called the kitchen. As a cage-like whisk blow a tiny life into kitchen, it will be changed into a bright and lively space.